Today our first release day for August and we are featuring the set Hanging Around! Check out all the amazing projects below from our Design Team and August guest designer, Chitra! Then, make sure to click through to all their blogs for details on their cards - Some of the designers have extra cards on the blogs and you might even find a fun video or two along the way! Make sure to comment for a chance to win! Details on the giveaway are at the bottom of today's post. Our August Guest, Chitra Nair, created this adorable scene with Newton hanging out on the branch. Love the fun leaves falling too! It looks like Danielle had fun with watercolors on this card. 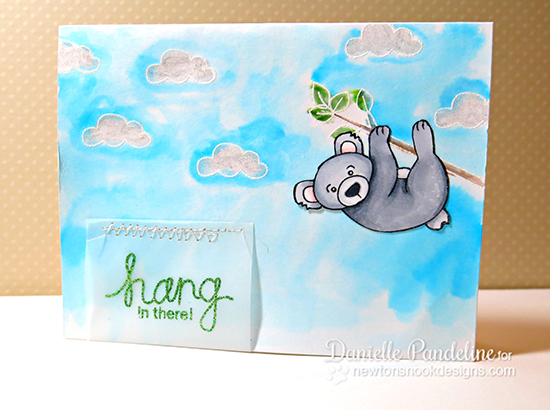 I love that pretty sky and it's so cute how the Koala is hanging off the edge of the card! Crafty Math-Chick created a WHOLE clothesline of hanging critters! Don't you just love all the cute layers of paper piercing? So cute! Love this sweet possum card by Tessa. The polka dots on the belly are so cute! 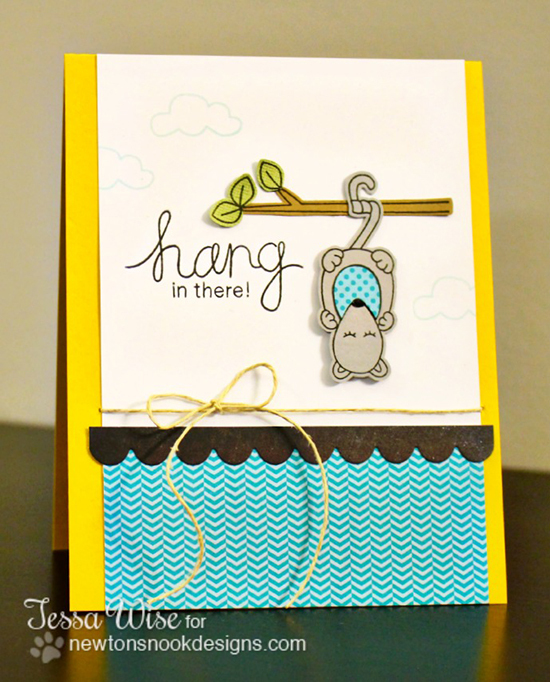 Shellye used the cute monkey from this set to create this fun card! I love all the layering and polka dots! 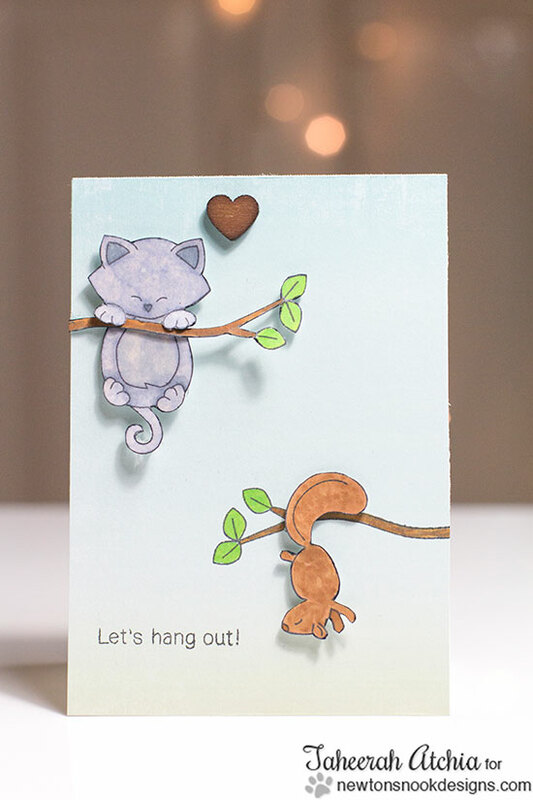 Taheerah created this fun scene I love how it looks like the squirrel and kitty are talking to each other! Samantha created this fun little scene and combined the possum from this set with the onesies and the "so much love" from our Winged Wishes set! Wouldn't this be a super cute baby card? Love how Jess created a line of 3 of the new characters on a string! The background with the clouds is fun too! So adorable! 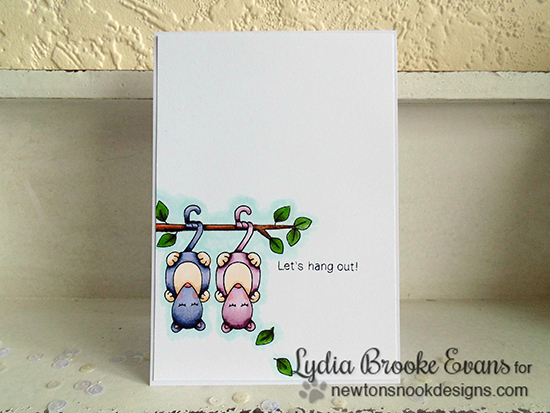 Lydia used the possum image to create an adorable possum couple hanging out! I love the leaves falling off the branch too! 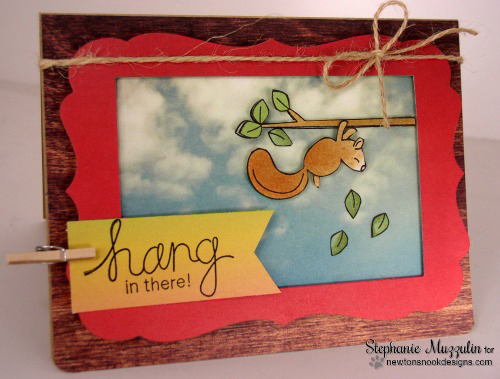 Stephanie created this fun scene with the squirrel hanging on the to the branch! Looks like he knocked down some leaves! What a great card to send some encouragement! 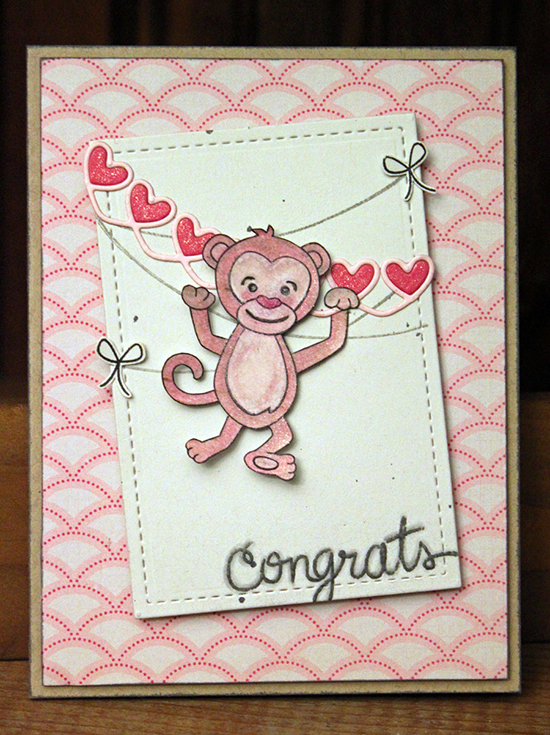 Larissa created this cute little pink monkey hanging onto the string from this set and some cute hearts! The "congrats" sentiment is a little sneak peek of a stamp from the set we're revealing tomorrow - make sure to pop back over tomorrow to see the whole set! Would you like to win “Hanging Around”? Comment on the NND blog and Design Team and Guest blogs (see list below)! Two winners will be chosen at random from the collective blogs release posts. Make sure to check out each of their blogs and comment for your chance to win. You will not know which blog has been chosen so the more you comment on the better your chances are of winning! You have until Tuesday, August 19th at 9pm CDT to comment -- winners will be announced on the blog post on Wednesday, August 20th. The hanging critters are adorable. Make me smile with their sweet, funny little faces. The cards were great. Love this stamp set. I'll be ordering it. This set is so cute and unique! Everyone's cards are so cute too! Amazing cards by everyone!!! So excited for this release!! Love that heart cutout you used Jennifer!! So cool!! Happy release week!! Love these cute hanging images! 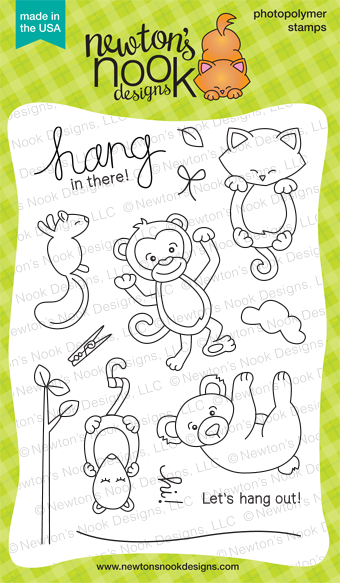 These are so cute--I love the monkey and Newton of course! Fun little hop. loved all the creations and this stamp set. Great cards! Gotta say the Newton design is my favorite! 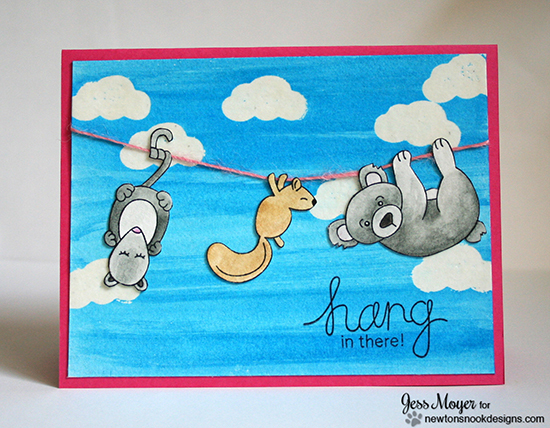 This Hanging Around stamp set is just so adorable! I love all the different critters and their sweet faces! Love all the cards too! The Design Team did an awesome job on their cards! Love this set. Gotta have it! Love all the "hanging" sentiments, and that upside down wombat? possum? is the cutest! Very cute hanging theme...love those cute animals too. Lovely new set! So fun and versatile! The talented DT and guest have showcased it just beautifully! what great cards and great inspiration! love the theme! Super adobable, love the cute critters in this set! 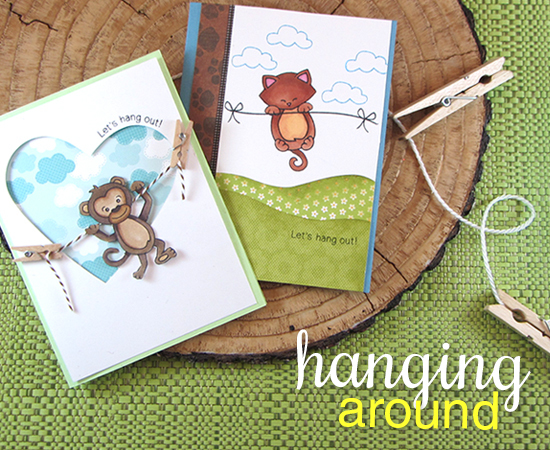 Really cute cards using the new Hanging Around stamp set. Oh I LOVE this ADORABLE set. Thanks everyone for sharing your CUTE projects. Very cute stamp set, I love the cat! It's Blog Takeover WINNER Day! You're Tweet Card by Guest Designer Chitra Nair! August Release Available + Blog Hop Winners! Swan Tag with Taheerah Atchia! Dino Birthday Wishes with Samantha Mann! Inky Paws #12 - Beach Challenge Winners! It's a Beach Party with Crafty Math-Chick!